I don’t believe I’ve ever met someone who said they didn’t at one time in their life drink coffee-myself included. I was a huge coffee drinker in college and while working in NYC and for sure bought into the assumption that in order for coffee to taste any good it had to be loaded with milk, sugar and even those chemical sweeteners-Coffee-Mate anyone?! 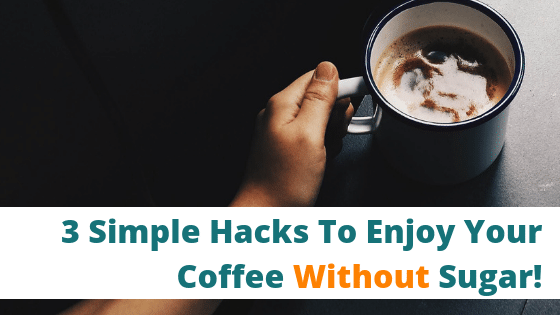 Well, I’m here to tell you that drinking coffee doesn’t necessarily have to include anything other than a delicious fresh roasted cup of black coffee and here’s why! What I didn’t actually know until meeting my dear friend, Raj (more to come on his company in a little bit), was that most coffee that is consumed in this country is of very low quality. It’s been poorly harvested, low in antioxidant value, and over brewed so that it actually comes off as burnt (hence it needs a whole lotta junk to make it palatable). What I also learned is that there is a way to grow, harvest and brew coffee that makes the whole ritual of drinking coffee have WAY MORE MEANING… like on a soulful level! Jenn, I just want to drink my coffee and if you’re telling me that there is a way to get the sugar out of it, because I know it’s part of my overall overconsumption of sugar problem I have, I’m all ears! Great, then know you’re in the right place because I’m also talking to you today. Truth be told, when you start your day with a sugary cup of coffee, it will trigger you all day long to want to consume other sugary treats. That initial spike in blood sugar (more to come in a moment on that) is for sure setting you up for a roller coaster day of sugar cravings! So the question is, why not start your day with a delicious cup of freshly brewed black coffee? 1. Clean your taste buds and teach them to actually taste! Eating chemicals all day long literally deadens the tongue’s sensory system. By that I mean your ability to know what tastes bad and what tastes good gets desensitized. I hear all the time that once women start eating clean in a way that I teach, they no longer can tolerate those so called “healthy” protein bars any more. They literally can taste all the chemicals regardless of what the label originally said that drew their attention!! Also owning a really good stainless steel tongue scraper is imperative to start removing the chemicals and sugar off your tongue that keeps you keep craving more of it! Is this coffee acidic like an apple or like a lemon? Is this coffee sweet like honey or molasses? Does it have more of a floral aroma or an earthy one? Eating and drinking become fun again when you can taste! Seriously, this one hack will transform your level of enjoyment every time you eat and drink anything! 2. Stabilize your blood sugar so you no longer crave sugar! No, that is not a typo. What so many people do not realize is that your first defense against kicking sugar cravings is to stabilize your blood sugar levels all day long. By that I mean to start learning what foods work best for your body (some people have allergens to food they didn’t even know they had which is partially why you crave them. exploring an appropriate diet that works for you is imperative) while at the same time eating foods that are lower on the glycemic index (GI). Every food has a GI number associated with it. The range is from 0-100. 100 being that particular food turns to sugar instantly (think about a person about to faint from low blood sugar so they are quickly given some apple juice to revive them!) versus a number 0 food like nuts that are pure fat which doesn’t impact sugar levels at all. I teach all about how to kick and manage sugar cravings in my private practice. I’ve also created an online program that takes all the guesswork out of knowing which foods to eat to actually keep you healthy including videos of me grocery shopping aisle by aisle. This is all part of my 6 week “What Do I Eat” Program. You’re welcome to check it out and see if it’s a good fit for you. It’s application only so if you like my style, you’ll probably love my program. Click the link in the program outline to set up a time to chat. 3. And last but not least: start your day with good coffee! And not just any good coffee but REALLY GOOD coffee. The average bag of coffee at the grocery store is filled with low-grade beans that are stale. You see, whole coffee beans only have 2-3 weeks of peak freshness and flavor – and pre-ground coffee only has 20-30 minutes! After this peak, the organic compounds in the coffee start to break down into really bitter stuff. And this is why coffee always seems so gross and bitter – we’re drinking the wrong kind of beans! If you follow these three simple steps, your coffee’s going to be elevated dramatically. You may not even recognize it as coffee because it’ll be so flavorful! But great coffee’s not the only reason I love Raj and JavaPresse. The company wants to be part of a reality where coffee benefits us all – wherever we sit on the supply and consumer chain! It’s their goal to be at the forefront of the coffee industry – to be seen as a company that’s moving the needle and continually challenging the way business is done and the way coffee fuels us to live our best lives! Well, if that doesn’t totally resonate with my mission of helping you live your best, more energized life, I don’t know what does! Check out Raj’s freshly roasted, specialty grade beans (and keep an eye out for our discussion on his Stay Grounded Podcast!). 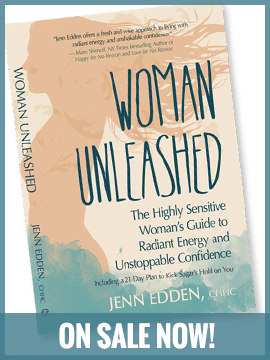 And if you haven’t already picked up a complimentary copy of Jenn’s book: Woman Unleashed you will want to!! She teaches you how to kick cravings in under 7 days!! thanks for letting me know Jodi! I’ve got my assistant working on the problem now.